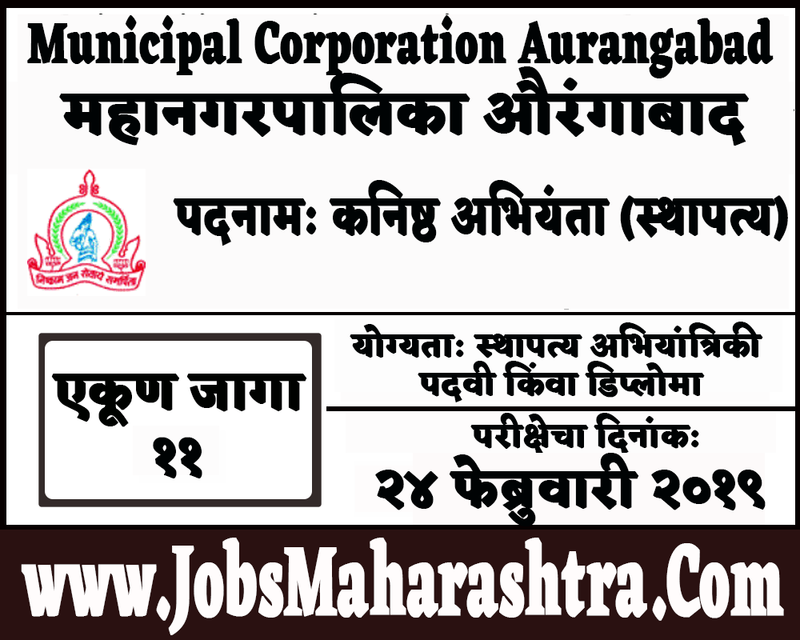 Municipal Corporation Aurangabad inviting application for 11 Junior Engineer (Civil) Posts. For more details like age limit, salary, how to apply, selection process please refer the below article. Candidates who are eligible for this post should be present in the examination center at Aurangabad on February 24, 2019 for the examination. Exam Center:- Devgiri Junior and Senior College and Degree Engineering College, Station Road, Aurangabad.